NZ Sappers have a long history serving their country, the Pacific region and communities around the world. Few people, even the Sappers themselves, know the full story of their service. This website is designed to help change that. 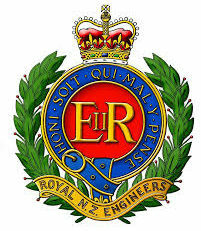 The Royal New Zealand Engineer Charitable Trust (RNZE CT) wish to acknowledge the generous support of sponsors with the development of this website which has been kindly funded by the Mainland Foundation (Christchurch) and generously hosted, sponsored and supported by Inspire Net (Palmerston North).